I remember the excitement of Fall 2016 when America was on the cusp of electing its first female president. Those of us who’d come of age in the women’s liberation movement were “Nasty Women,” jubilant over the chance to finally celebrate the shattering of that ultimate glass ceiling. More importantly, we were set to deal a resounding defeat to a man who personified Hate. It truly saddens me to say I may not feel that good about America ever again. Since that awful day in 2016, many of us have thought of nothing but the 2018 midterm election — our chance to repudiate an incompetent, greedy buffoon who brings out the worst in all of us, and the spineless GOP majority in both houses of congress that enable him. So here it comes: Tuesday, November 6th. That’s when we’ll find out if the 2016 election was a freakish blunder or a symptom of the decay of progressive values. If elections define who we are as a city, a state, and a country, we have to make sure our voices are heard. I’ve joined with friends to offer a special ebook collection called We’ve Got the Power: Stories by Lesbians Who Vote, featuring these authors: Renée Bess * Celeste Castro * Jamie Clevenger * Carolyn Elizabeth * Mary Griggs * Cheryl Head * JE Knowles * KG MacGregor * Marianne K Martin * Ann McMan * Susan X Meagher * Tracey Richardson * Cindy Rizzo * Rachel Spangler * Cade Haddock Strong * Laina Villeneuve. This collection is NOT FOR SALE, but it’s FREE to everyone who can show they value their vote. All you have to do is go to my Facebook page and post a photo that includes these TWO things: (1) you, your pet, or a book; AND (2) proof that you care enough to vote; e.g., your “I Voted” sticker, your polling place, your voter guide, where you mailed your ballot, your T-shirt/hat/bumper sticker/yard sign. If you don’t do Facebook, you can email me at my Yahoo account (kgmacgregor) and attach the photo. Thanks for doing your part. I’ll be kicking around Dallas until Tuesday for the Women With Pride Book Club. That’s from 7pm to 9pm at the Resource Center. 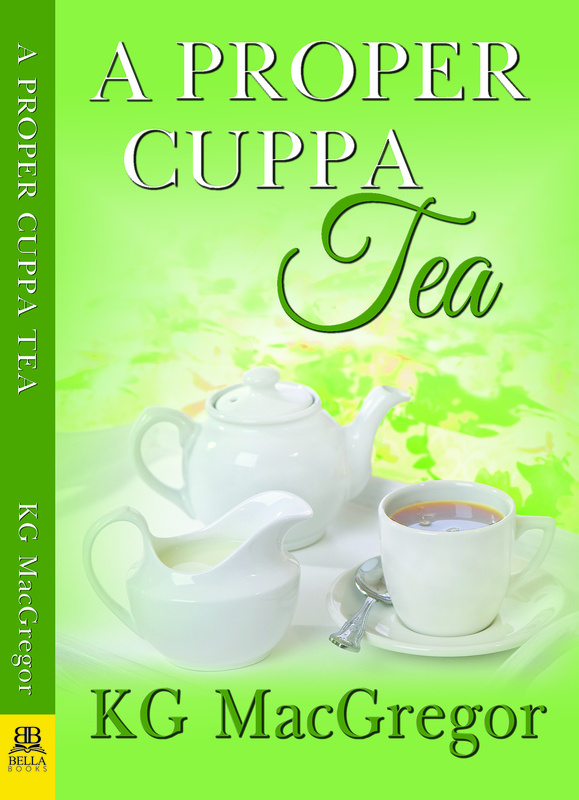 It’s my third visit to the book club, and this time we’ll be talking about A Proper Cuppa Tea. Hope to see you there!